Free DIY Teeth to show support to Feed Me. The Teeth come in an A4 sized downloadable PDF. 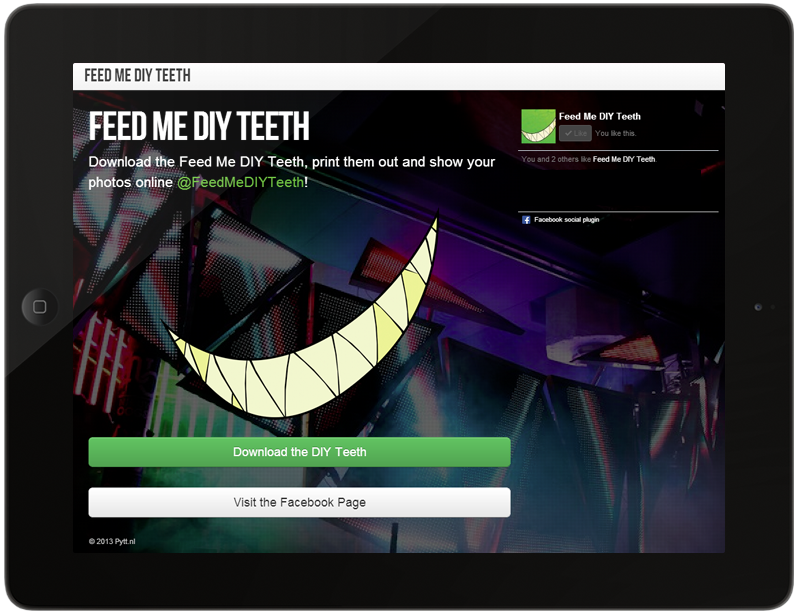 You can print it out, cut out the Teeth and share your photos online using #FeedMeDIYTeeth/@FeedMeDIYTeeth. 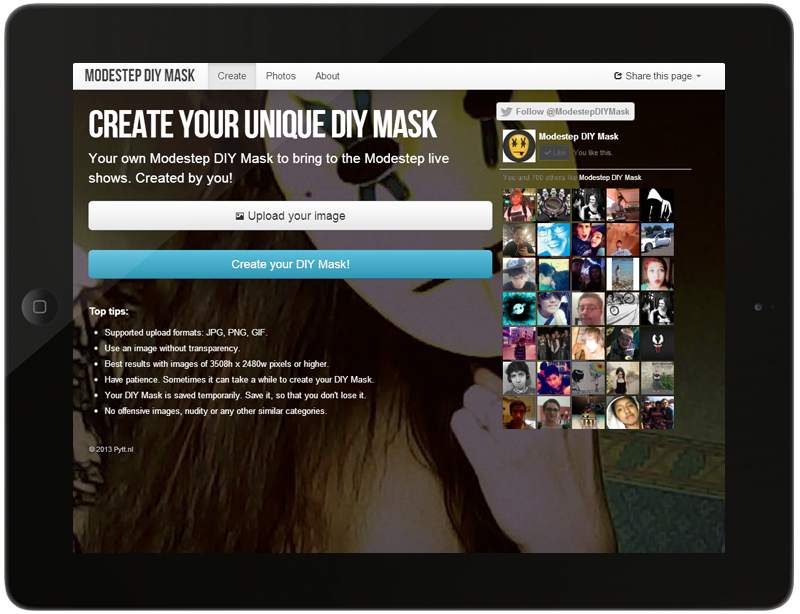 The DIY Mask creator allows you to upload your own images to create a personalised Modestep DIY Mask. Similar to the original Modestep DIY Masks, the custom mask includes the Modestep tongue and crosses. 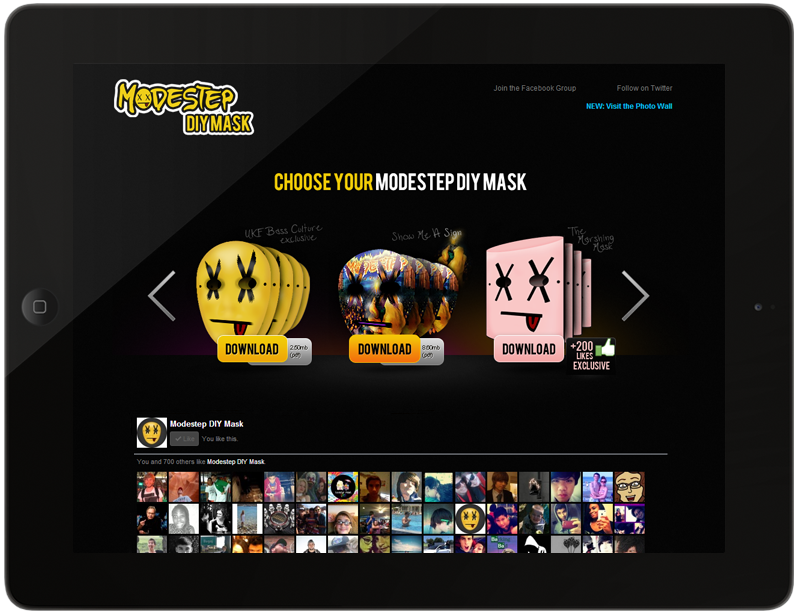 A selection of free DIY Masks to show your support for Modestep. Simply print out one of the many masks, cut out the DIY Mask and bring it to the Modestep live shows or to any of your other favourite artists.